At first glance, this book looks like it’s another one of what I’m calling “The Precocious Kids on an Adventure” books that seem to be all over the place. However, while there are precocious kids (budding scientists, though there is no riddle solving), and adventure, this book is most definately not one of those books. It’s actually the third in a series that Howard Whitehouse has written. I haven’t ever even heard of the other two, and thankfully (I’m becoming really grateful for this!) it stands on it’s own quite excellently. The plot’s a bit all over the plae, but the fundamentals are: there’s a Collector who collects scientists and wants a boy, Rab, and a girl, Emmaline (who are the budding scientists) to add to his collection. So, he sets thugs after them. In addition, there’s a princess, Purnah, who having escaped (in an earlier book) from an Evil Boarding School, is being pursued by the Authorities in order to put her back where she belongs. So, there’s thugs (and cops) following her. 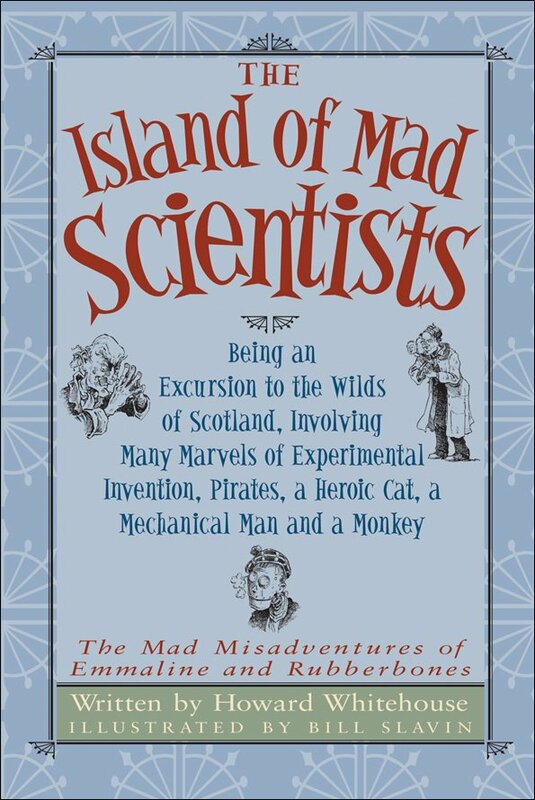 So (of course), they decide to vacation (it’s the middle of November) on an island, called Urgghh (“which means ‘cold and nasty’ in the Scots Gaelic tongue”), off the coast of Scotland, where a colony of Mad Scientists reside. It really doesn’t matter, though, because this book is a grand romp. Hilarious, milk-snorting-through-nose funny, I can’t remember when I’ve had so much fun reading. It’s full of grand asides, amusing language, silly situations… everything a comic novel should have. It practically begs to be read out loud (I’ve already informed C that we’re going to; I can’t wait to do Purnah’s voice! ), and thoroughly enjoyed by all, even if one doesn’t get the references to Verne, Stoker, Wells, late-18th-century science and Wodehouse (all of which the author helpfully explains in the note at the end). Just brilliant. If I do say so myself. Note #1: Thanks, Betsy, for your short Goodreads review; it gave me the push I needed to read it. Note #2: Just for the record: because this is a Cybils nominee, I’ve been asked to make sure y’all know this is my opinion only, and not that of the panel. Glad you liked this one, Melissa. I reviewed the first book, < HREF="http://jkrbooks.typepad.com/blog/2006/10/the_strictest_s.html" REL="nofollow">The Strictest School in the World<>, but didn’t like the second one quite as much – I’m glad to hear that the third book is fun. It may be the case, Jen, that the first one you read of this series is the best. I’m not sure I’m going to go out of my way to find the other two… I’d be curious to know if you liked this one as much as I did. I’m new to book blogging and I thought I’d say howdy.I will have to put this one on my list. I always like a good laugh in a book. I’m glad you liked it! Several people say it’s the best of the three, being lighter than last year’s “Faceless Fiend”.I suggest you read them all. 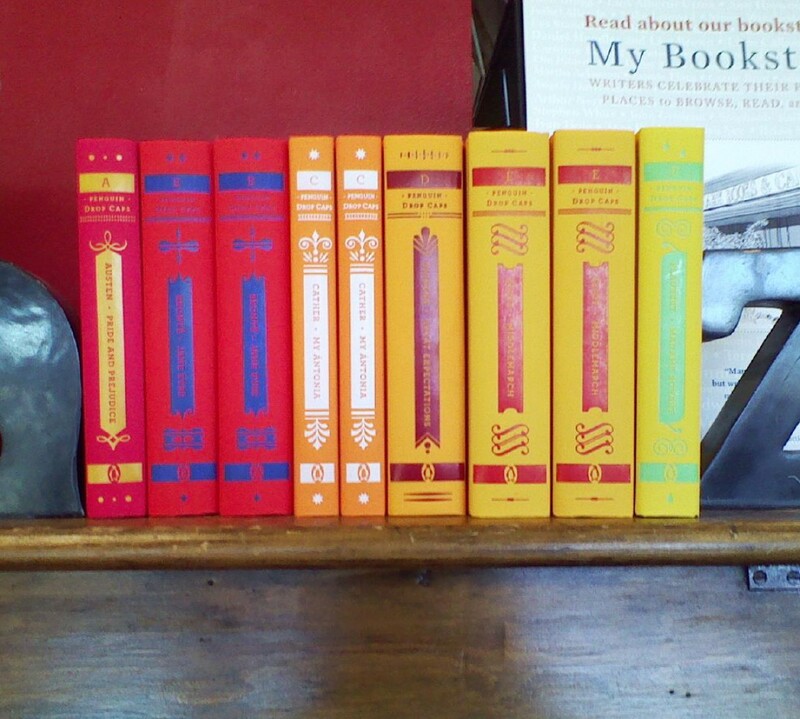 Buy the gold-inscribed, leather-bound versions.